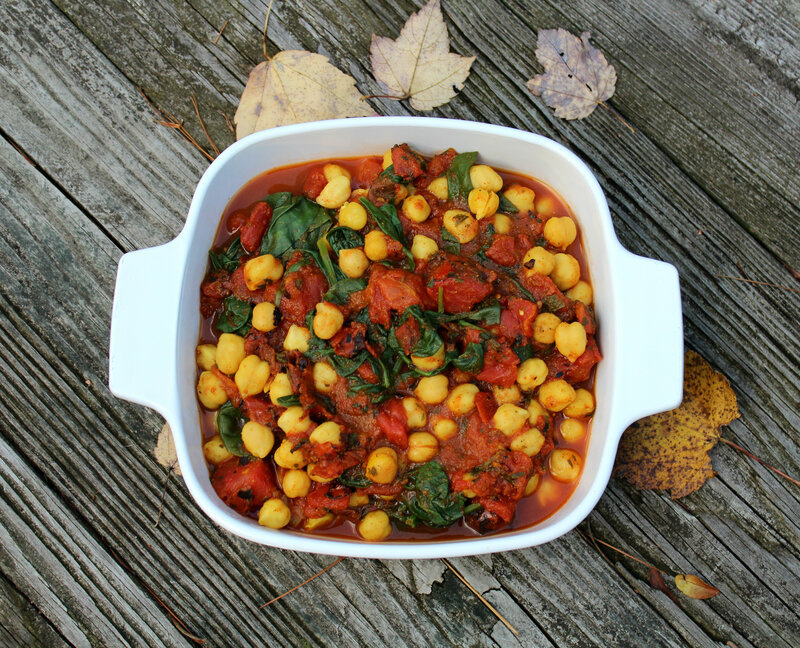 This was the first chana masala I’ve ever made and I loved it. Will be making many more times in the future. I usually eat vegetarian to improve my health. 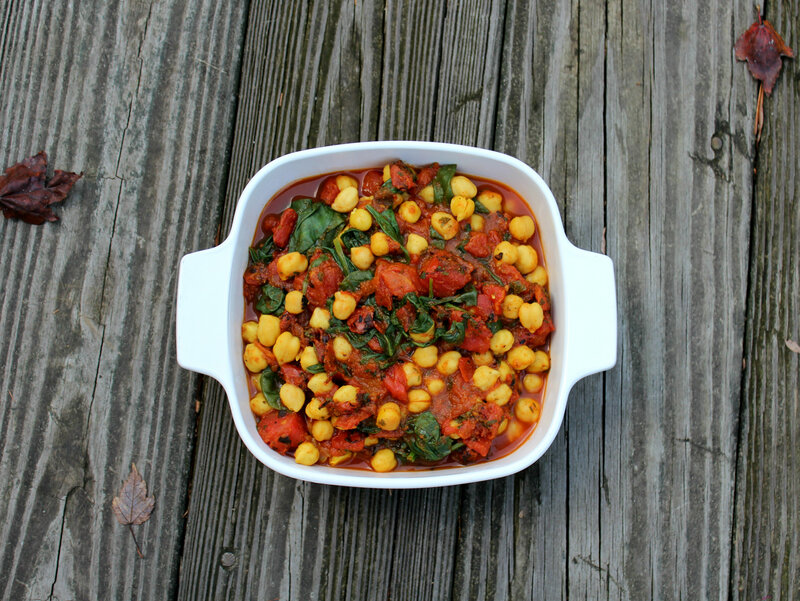 My favorite dish is Chana Masala because I like the color and the taste of it. I would eat Indian and Thai forever too! So wonderful, all the flavors and spices! 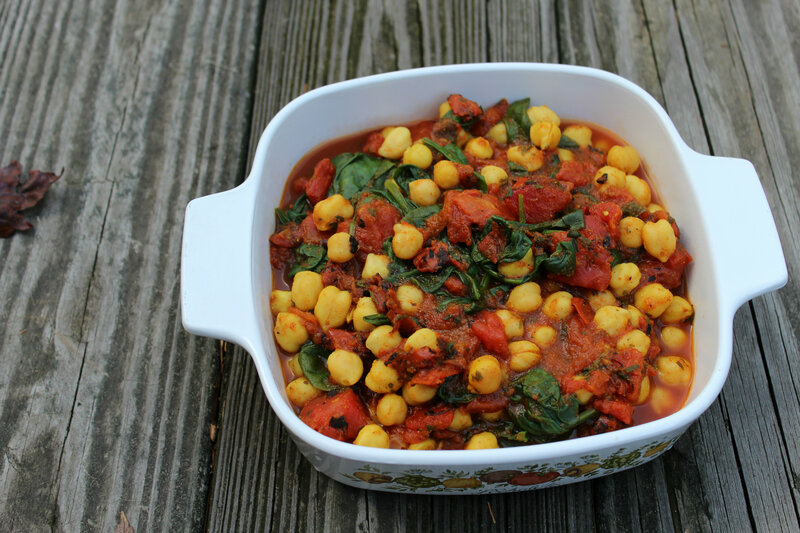 This is a lovely version of chana masala. 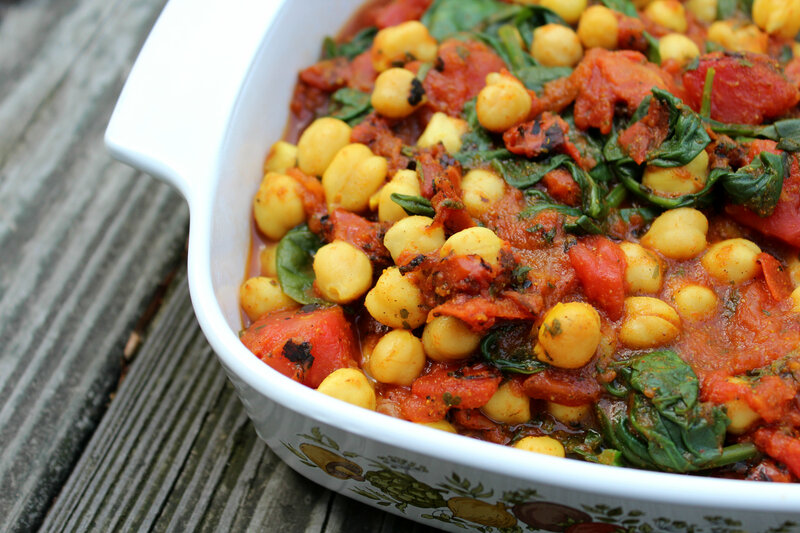 I love the flavors and the combination of the beans with spinach and tomatoes. It goes wonderfully with dal and rice or even with a simple fish. I think it is the best Indian dish! 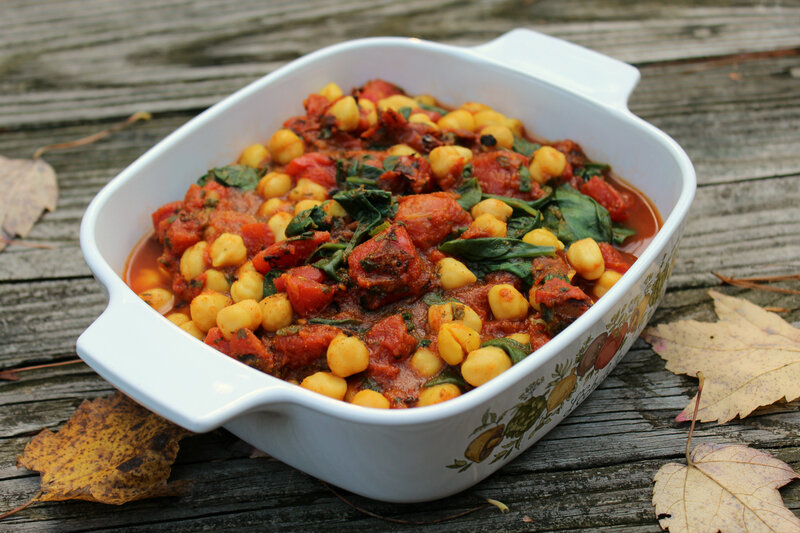 I love Chana Masala – this one looks wonderful! This looks amazing! It’s the sort of meal that is going to be a regular staple at my house. Making it tonight! This dish brings me so many warm feelings of home and comfort! I hope you enjoy! Can I use canned garbanzo beans instead? YUUUUM! This is one of my mother’s favorite Indian dishes ~ I’m definitely going to have to surprise her with it one day. Thank you for the recipe, fellow SITS-sister! Is that 1 teaspoon of ginger powder or 1 teaspoon of grated ginger? This sounds wonderful. Thanks for sharing on Foodie Friends Friday and I hope that you will join us again this coming week. O I know! I love making a huge batch and then freezing portions to enjoy whenever! This looks delicious!! I love Indian food and would love some easy dishes I can make at home, so this looks like a win-win. Cheers! I am pretty sure this is one of the easiest Indian dishes out there! It is so simple to pull together in a rush 🙂 Happy cooking! Saying hi from SITS! Beautiful job on the photos and the dish. I make chana dal in the slow cooker that is pretty darn good. I’m learning all about Indian spices from my neighbor. So much creativity in that cuisine’s use of spices. Got to love it! I love masala! This recipe looks and sound amazing. Sounds amazing! I was thinking about what to make for dinner tonight, and I think this may be the winner! This looks delicious! I like my food medium-spicy … just a kick of spice but not too hot that I’m chugging water after every sip! I like a lot of Indian foods, but Chana Masala is always a safe one if I can’t understand exactly what is on the menu :).